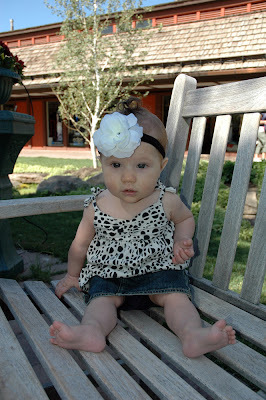 We decided to share a few more pictures from our vacation last month to Sun Valley. 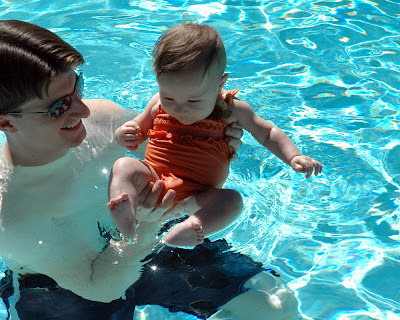 While we were there we were able to take Ava for her second swim. 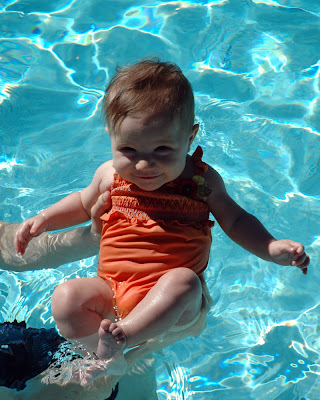 Ava's first swim was when we were down in Las Vegas last March for the Mountain West basketball tournament. However, the water was pretty cold so she never really got in the water, but instead sat in Larry's lap within an inner tube. This time around the water was bathtub warm and Ava truly enjoyed herself as evidenced by the large amounts of water she splashed into her parents' faces as she kicked her legs and flailed her arms. The weather in Sun Valley was beautiful and Ava loved taking walks with her parents while soaking up the rays of sun (they don't call it Sun Valley for nothing). 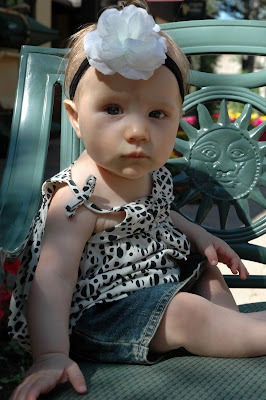 However, baby skin can only take so much sun; and so the shade proved a welcome rest from the heat. 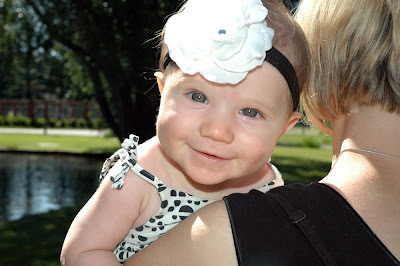 Here's a picture taken before we gave Ava the flower which produced the pictures we shared previously. 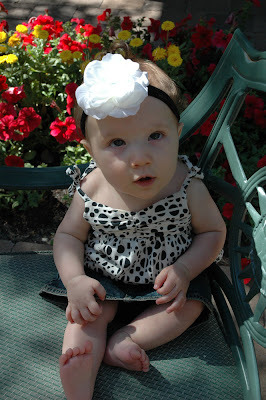 This is her contemplating how she can finagle that flower from dad. As you know from our previous Sun Valley post, she was successful. Well, that does it for the Sun Valley pictures this year. What can i say. I can't deny, she is such a beautiful girl. Too cute...I love how she stretches out her little legs...and her cute happy smile!! Looks like her hair is getting lighter??? Is it?? Maybe it's just the sun!! Very cute though! !